Cryptocurrency: Venezuela Bets on The Petro. Three Questions to Eric Chaney. On 20 February, Venezuela became the first country to issue a cryptocurrency, the petro. This decision, which appears as an attempt from the Venezuelan government to circumvent US sanctions, comes in the midst of a political, economic and social crisis that has been expanding for several months in a country strangled by its debt. 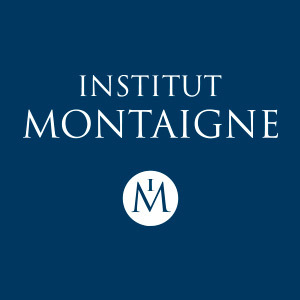 Eric Chaney, Economic Advisor to Institut Montaigne, analyzes this situation. What is your opinion regarding the Venezuelan government’s decision to issue a cryptocurrency? Could the petro actually be an effective way to circumvent US sanctions? This is an unscrupulous and desperate attempt from the ruling clique in Caracas to take advantage of the enthusiasm for cryptocurrencies in order to earn hard currencies. Bear in mind that Venezuela, which has some of the largest oil reserves in the world, has defaulted on its debt on several occasions, and can no longer borrow on international markets. Besides, the petro is not a cryptocurrency in the same way that bitcoin or ether are, since the initial offer of petros is forbidden to the Venezuelans. Indeed, it is restricted to non-residents willing to buy them in dollars or euros. Curiously, this presale, which was supposed to take place on the Ethereum blockchain, eventually occurred on the more confidential NEM platform. As a result, the government’s claim that it has raised $735 million cannot be checked. Nonetheless, the fact that Venezuelan authorities are already speaking of another issuing, which this time would be ‘backed’ by the country’s gold reserves, suggests that few investors have fallen into the petro trap. Is the petro really ‘backed’ by Venezuela’s oil reserves? According to the Venezuelan government's document, a petro should be exchangeable for a barrel of oil. In fact, during the presale, the petro was initially valued at $60, which is roughly the price of a barrel of WTI crude oil. However, no details have been given on trading terms, and the only guarantee that this exchange can actually take place is Mr. Maduro’s word. In the real world, it seems to me that the chances for an investor of recovering its petros in the form of barrels of oil are very slim. We would know more if there was an exchange for petros against dollars or euros. For now, however, no exchange specialized in cryptocurrencies is ready to accept petros. A "sovereign cryptocurrency" – is this a paradox? Venezuela actually has a sovereign currency, the bolivar, which can be exchanged at the rates of 25,000 bolivars to one dollar in the official (restricted) market and of more than 200,000 bolivars to one dollar in the black market. And the petro is not a sovereign currency, since it is inaccessible to the ordinary citizens of the country, whose assets are in bolivars. If the petro really becomes exchangeable for oil on a trading platform, it would be a kind of exchange-traded fund (ETF) indexed to Venezuelan oil. The value of an ETF does not deviate much from the values of the assets it is supposed to duplicate, as long as the market trusts the issuer. However, if the quality of the issuer is questioned, the ETF can considerably deviate from the assets it is tracking, and even fall to zero. While the petro is not a sovereign cryptocurrency, it remains that some central banks are studying the possibility of using blockchain technology to issue their own digital currencies, so as to track transactions using their currency. If they took action, it would indeed be a paradox as cryptocurrencies were originally conceived as a way to get rid of central banks and the financial system. We haven’t reached that point yet.